Workable Strategies to Help you Get the Job! There are many ways to ensure a successful job hunting experience but the following tips and approaches top the list of "things to do". Before you say you're ready to impress a hiring manager or an interviewer, please take these actions. Hunt for 5 maximum types of work. 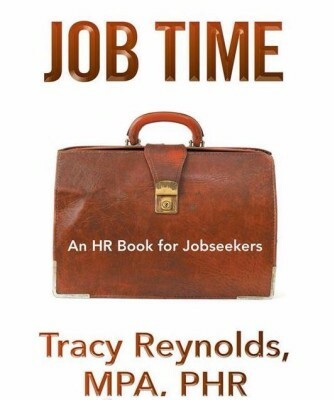 Know the Work you Love and Like to Do--In Job Time: An HR Book for Jobseekers, the author explains how do make a WILL List (Work I Love and Like). Target your Networking Efforts. Tap the shoulders of the right people; those who are likely to have answers that can either assist or guide you with information that takes you closer to achieving career goals. Counselors and Career Advisors are always a positive starting place as well as professional social media. There are other sources to explore such as state run workforce planning centers and current employees at an employer of your interest. Practice Answering Behavioral Interviewing Questions. The Job Time Book provides a substantial list of behavioral interview questions. You should practice these before your next interview! Your job is to have ready responses to these questions so that when you are interviewed, you are more confident. Understand Professionalism. Being professional throughout the hiring process is critical even in today's culture. When an interviewer takes on an "overly friendly" or "informal" attitude in an interview, you must know what to do. Though our society's culture has shifted, the change is not as evident or acceptable in some corporate cultures. Learn more when you schedule our Job Readiness Workshop or Seminar. "A great tool for job seekers and new graduates"
No fluff or filler talk, just facts and short cuts on how to get, keep, grow and protect your job. You can use a break from getting rejection letters, can't you? Isn't it time someone gave it to you straight? If you are ready to move forward with a clear vision on how to be successful, this is the book you've been waiting on! In this book, you will be provided with all the inside information you'll need to be successful in employment. Finally, someone wrote a book that is especially meant to help people find solutions to the job hunt.